This furniture set is part of the gorgeous Lila Range. 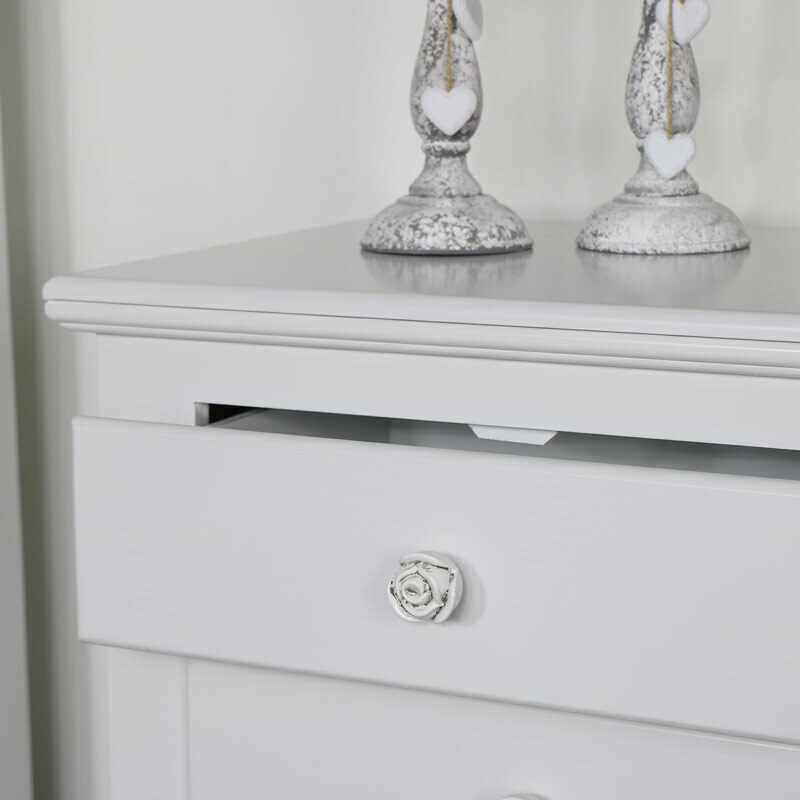 The Lila Range is a beautiful selection of white, wooden furniture with a satin finish and carved rose style handles. Ideal for bedrooms, dressing rooms or nursery's. The Lila range has a simple, slim design and is ideal for those trying to create a vintage or shabby chic style interior. The Lila collection is one of our bestselling white furniture collections due to its timeless look and excellent price. 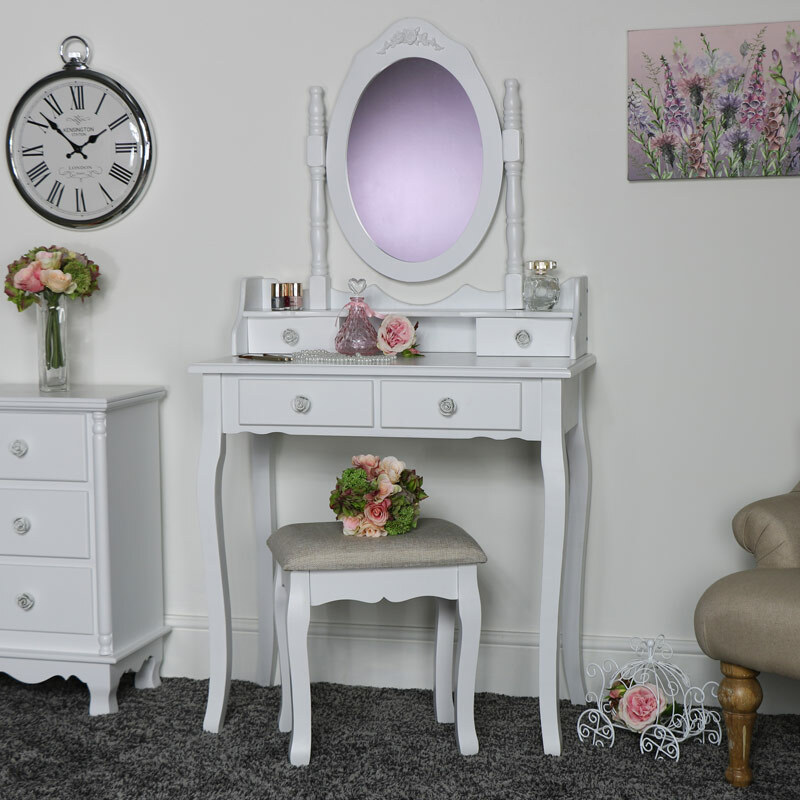 Included in this furniture set is the stunning Lila dressing table set, including stool, swing mirror and two drawer console table, a large six drawer chest of drawers and a pair of three drawer bedside chests – perfect for your storage needs. This furniture set is part of the gorgeous Lila Range. 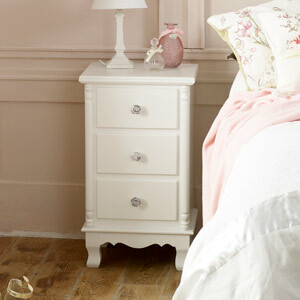 The Lila Range is a beautiful selection of white, wooden furniture with a satin finish and carved rose style handles. Ideal for bedrooms, dressing rooms or nursery's. The Lila range has a simple, slim design and is ideal for those trying to create a vintage or shabby chic style interior. The Lila collection is one of our bestselling white furniture collections due to its timeless look and excellent price. 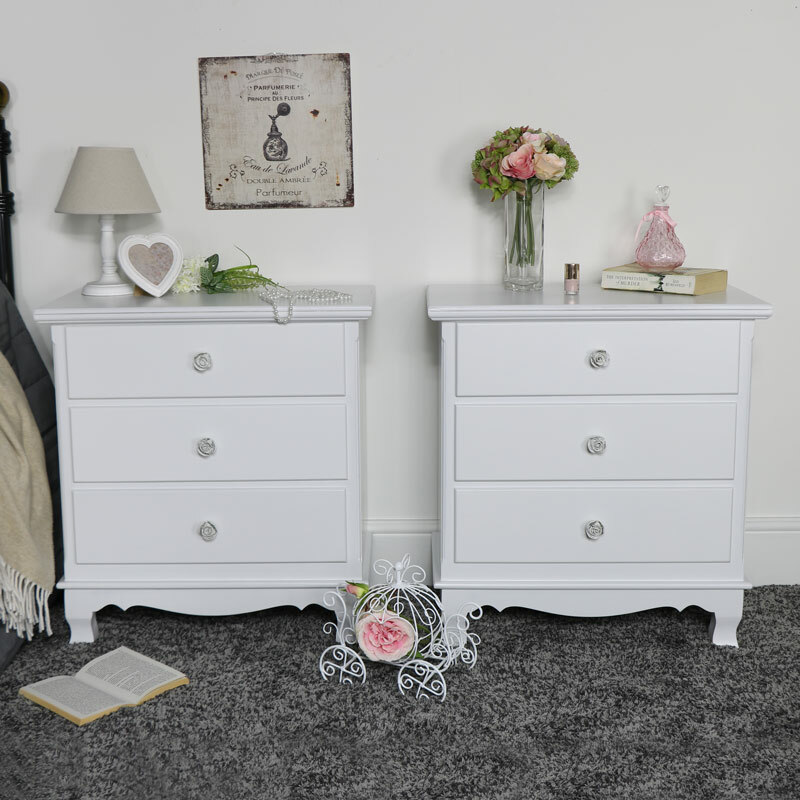 Included in this furniture set is the stunning Lila dressing table set, including stool, swing mirror and two drawer console table, a large six drawer chest of drawers and a pair of three drawer bedside chests – perfect for your storage needs. Constructed from wood with a white painted satin finish. 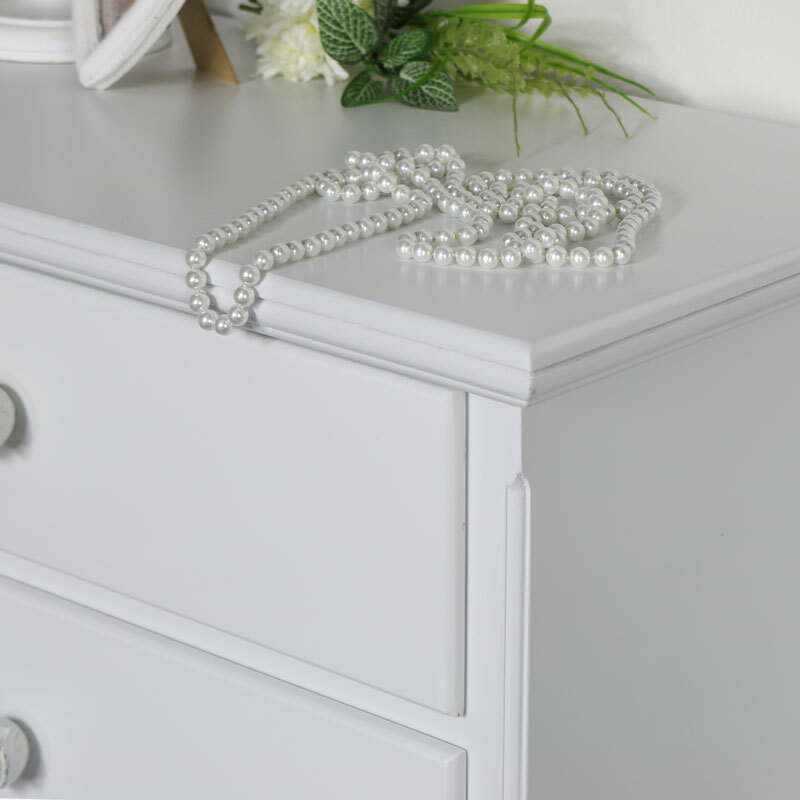 The chest of drawers and bedside chest come fully assembled while the dressing table set is flat packed with fixings and instructions included.